Enhanced international police cooperation involves increased engagement with criminal justice systems that differ from Australia’s. International police co-operation is becoming more frequent in the areas of transnational criminal law such as drug smuggling, anti-terrorism, human trafficking, cyber crime and money laundering. Being investigated by multiple countries with differing jurisdictions raises however complex legal problems concerning evidence gathering, the rights of suspects and punishment. It has been argued that in particular, cooperation with countries that retain the death penalty undermines Australia’s commitment to its abolition and the protection of human rights. The Bali Nine is an example of a situation where cooperation between the Australian Federal Police (AFP) and a foreign police force resulted in the imposition of the death penalty on individuals, particularly Australian citizens. In this case, the AFP voluntarily provided the Indonesian National Police (INP) information that led to the arrest and charge of the Bali Nine. The INP then formally requested information from the AFP, and the AFP continued to collaborate with the INP in the investigation. Critics have suggested that the AFP has ‘blood on their hands’ due to their involvement in the investigation which resulted in the Bali Nine being sentenced to death. Others have suggested that the AFP should have ensured that the Bali Nine were arrested in Australia, or gotten an undertaking from Indonesia that the death penalty would not be imposed on them if they were to be arrested in Indonesia. The failure to do so has been argued to undermine Australia’s opposition to the death penalty. However, polling showed that in the case of the Bali Bombers where the individuals were not Australian citizens, there was considerable public support for the death penalty being imposed. The acceptance of police cooperation in death penalty cases therefore seems to depend on the particular facts of each individual case, political factors and perceptions of public opinion. The death penalty is prohibited in Australia under Death Penalty Abolition Act 1973 (Cth). It is reflected at an international level with Australia having signed and ratified the ICCPR and its Second Optional Protocol. It has been argued that there is an inconsistency caused by police cooperation arrangements which “feed information into a process leading to death penalties” and the opposition to the death penalty domestically. The AFP have defended their position within the broader context of the war on drugs, the benefits of the policy of forward engagement (which attempts to stop crimes in the country of origin, e.g. before drugs enter Australia) and the need for international cooperation in the fight against transnational crimes. This transnational cooperation between the AFP and foreign police forces is provided for in the Australian Federal Police Act 1979 (Cth), and a Ministerial Direction issued on 31 Aug 2004. Australia has also signed various multinational and bilateral treaties that require states to cooperate in the fight against transnational crime, e.g. the Agreement between Australia and the Republic of Indonesia on the Framework for Security Cooperation. As crime assumes an increasing transnational character, international police co-operation will continue to increase, presenting new legal challenges for the Australian legal system. The AFP have a vast network of liason officers placed around the globe who work co-operatively with the largest known police organisations in the world, including the F.B.I, Interpol, Europol, the D.E.A, Scotland Yard and others. Likewise there is foreign law enforcement presence in Australia at most foreign embassies and consuls. 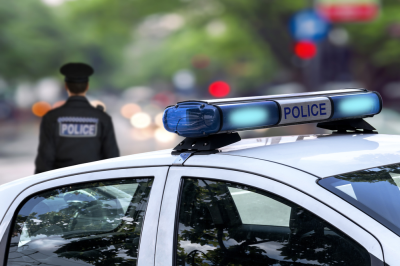 Databases are routinely shared between law enforcement bodies around the world and often with little oversight as to the use of private information. The AFP Practical Guide on International Police to Police Assistance in Death Penalty Situations (the Guidelines) were first introduced on 26 Oct 1993. The Guidelines in place at the time of the Bali Nine arrests drew a distinction between request made for information in matters where charges for a death penalty crime were already laid, and matters where information was requested before charges were laid. If charges were already laid, the matter would be referred to the Attorney General (AG) or Minister for Justice, and assistance may be refused if there was no assurance that the death penalty would not be carried out. If it was before charges were laid, it was up to the AFP whether they would provide assistance. The Guidelines allow the AFP to provide assistance until the point where charges are laid. The actions of the AFP therefore did not breach any existing domestic legal obligations. The Guidelines are focused on situations where the AFP responds to requests from foreign police forces, and do not say anything about a situation where the AFP voluntarily provides information, such as in the case of the Bali Nine. Even if they did, the Bali Nine had not yet been charged at the point where the information was provided to the INP. Although Australia has ratified the ICCPR and the Second Optional Protocol, these have not yet been expressly incorporated into domestic law and do not have direct and justiciable force under domestic law within Australia. Article 6 of the ICCPR should be read together with the Second Optional Protocol. When so read, it limits the obligation to the abolition of the death penalty within the state’s own jurisdiction only, and does not impose an obligation on states to prevent the exposure of a person to a real risk of the death penalty being applied. State practice in relation to police-to-police cooperation in death penalty cases regards it as a matter for police discretion (at least prior to charges being laid). There have been renewed calls for procedures to be reformed, with the AFP being criticised on the basis that it has effectively exported the death penalty for Australians. It has been suggested that the guidelines on providing information to foreign police forces be brought in line with those of extradition processes, i.e. that cooperation would be denied unless there is an undertaking that the person will not be tried for that offence carrying the death penalty, or that the death penalty will not be imposed or carried out. It has also been suggested that these requests for assistance should be made at government-government level, allowing the AG a measure of discretion when considering requests in death penalty cases. However, if this were to apply in the Bali Nine case, it would mean that this restriction would apply to the voluntary provision of information by the AFP, which would significantly hamper its ability to share information and impact on the information foreign police forces would be prepared to share with Australia in return. Restricting the sharing of information in this way would have the effect of allowing information about relatively trivial crimes to be shared, but restricting cooperation aimed at preventing and prosecuting more serious offences. Requiring foreign police forces to obtain undertakings from the relevant prosecuting or government authority would introduce another step into the process and reduce the flexibility and responsiveness of transnational police cooperation. It is unlikely that regional states with the death penalty would provide this assurance regarding information-sharing at the police-to-police level.